14 January 2019 (Toronto, ON) - The Queen of Funk Chaka Khan made a phenomenal return with her latest “Like Sugar”. Initially launched as a limited-edition release for Record Store Day, it earned airplay from Annie Mac, Nick Grimshaw, Pete Tong, Benji B, Danny Howard and Gilles Peterson before receiving a full release in the summer. It immediately captured the imagination of fans with countless entries from all over the globe for her #LikeSugarChallenge and numerous bootleg remixes. The accompanying Kim Gehrig-directed video extended that love with two wins at the UK Music Video Awards, while live sets at Bestival and the Pitchfork Music Festival were widely heralded as highlights of the summer. The track has become one of the year’s biggest club anthems with support from Mark Ronson, The Magician, Horse Meat Disco, The Black Madonna and many more. Now the 10-time Grammy Award winner continues the reemergence of the year with the news that her new album Hello Happiness will be released on February 15 2019 via Diary Records (the new label formed by Major Lazer founder and Grammy-nominated producer Switch with artist/songwriter Sarah Ruba Taylor)/Island Records/Universal Music Canada, the country’s leading music company. Hello Happiness is an album which sets Chaka Khan’s timeless vocal to an empowering collection of songs with cutting-edge production. 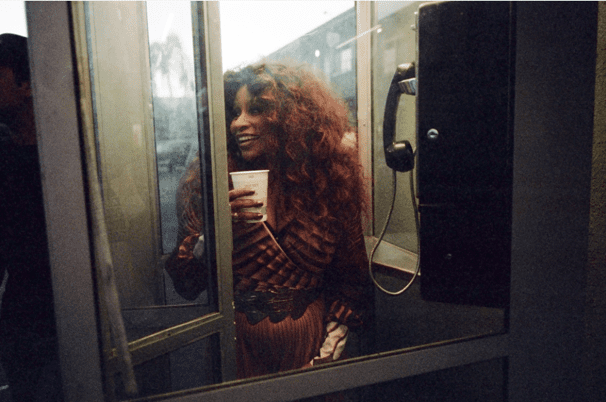 With an eye on the future and a respect for the past, Chaka Khan has delivered an album with the contemporary edge to entice newcomers to her world class talent and the quality to excite long-term fans. That’s exactly what the title track and new single “Hello Happiness” achieves. A tribute to the life-affirming power of music, it combines the sass of “I’m Every Woman” with the invention of “I Feel For You” while also feeling precisely in tune with the current zeitgeist. The single is accompanied by an ambitious official video that was directed by the award-winning Sam Pilling (The Weeknd, Run The Jewels, Major Lazer). It depicts a series of characters whose true intentions are revealed as their individual stories gradually merge into a plot in which they’re all interconnected. Filmed in Los Angeles, its grainy, washed out palette recalls some of the classic ‘70s movies. The strength of the single hints at the quality of the rest of the album. The soaring “Like A Lady” feels like Switch has been teleported back to the great late ‘70s New York disco scene, while Chaka rolls back the years with one of the most powerful performances of her career. That’s something she also demonstrates with the swaggering strut of the sultry R&B anthem “Too Hot”. “Isn’t That Enough” and particularly “Don’t Cha Know” find her embracing bold new elements to her sound, while the laidback, minimalist groove of “Ladylike” gives her the space to prove that her vocal has clearly grown in stature over the years. Chaka Khan first collaborated with Switch and Ruba Taylor as a potential featured artist on a different project. Inspired by the power of both her voice and personality, the duo suggested working on an original Chaka Khan album - something which she didn’t have in mind. But she was soon convinced when she heard some of Switch and Ruba Taylor’s songs, which coincidentally were influenced by Chaka Khan but written for their own project. Chaka chose her favourites and stamped her identity all over them, with her inimitable vocal gift and dynamic energy taking each track to new heights. Switch and Ruba Taylor also provided the groundwork so that Chaka Khan could concentrate on making her first set since 2007’s “Funk This”. Hello Happiness is now available to pre-order from musicvaultz.lnk.to/hellohappiness with “Like Sugar” and the title track both provided as instant downloads. It will be released on vinyl, digital, CD and cassette. Chaka Khan is one of the world’s most gifted and celebrated musicians. A songwriter, actor, author, philanthropist, entrepreneur and activist, Chaka has influenced generations of recording artists. She has the rare ability to sing in multiple genres, including R&B, pop, rock, gospel, country, world music, jazz and classical. Throughout her legendary career, Chaka has released 22 albums and racked up 10 US #1 singles; seven RIAA certified gold singles; and ten RIAA certified gold and platinum albums. Her list of high-profile fans and collaborators, past and present, includes Miles Davis, Aretha Franklin, Stevie Wonder, Prince, Quincy Jones and Mary J. Blige. 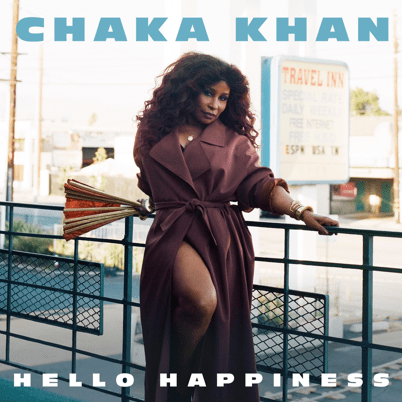 After forty years in music, Hello Happiness celebrates a lifetime in music and proves that Chaka Khan is as inspiring as ever.